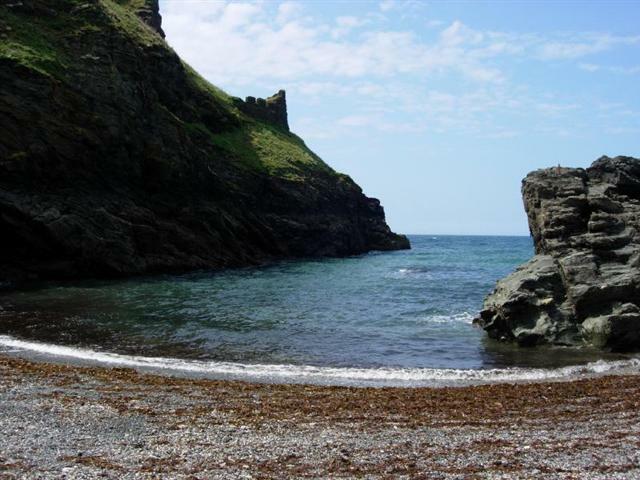 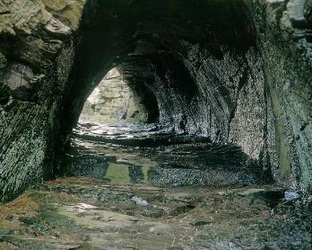 Tintagel has it's own beach, with a beautiful waterfall and exciting caves to explore. It is only accessible at low tide. 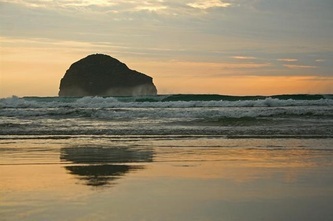 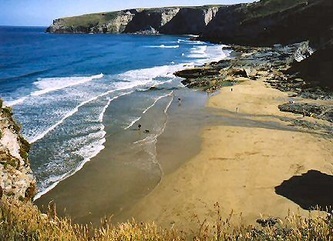 Just two miles from Tintagel is the gorgeous beach of Trebarwith Strand. Again only accessible at low tide, Trebarwith offers a mile of golden sand, and is one of the only dog friendly beaches in the area. 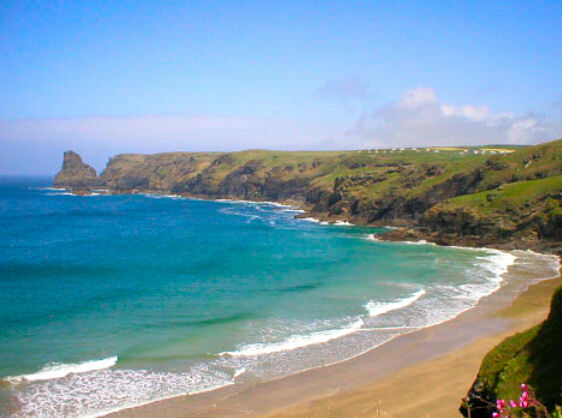 If you are prepared to walk down the rugged cliff path, Bossiney Cove is a perfect arc of golden sand. 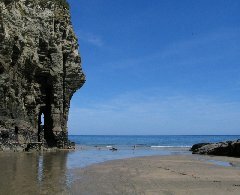 The picture below on the right shows the aptly named 'elephant rock,' children love to walk under it's trunk!